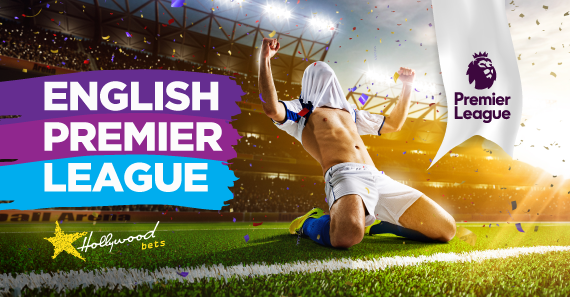 Midweek football is back with all 20 Premier League teams set to be in action around England on Tuesday and Wednesday evening. The pick of the fixtures sees a struggling Manchester United welcome Unai Emery’s red-hot Gunners to Old Trafford. Elsewhere, Manchester City, Chelsea and Liverpool are all away to Watford, Wolves and Burnley respectively. Bournemouth host Huddersfield on Wednesday in what should be a pretty intriguing affair. Eddie Howe’s men have just gone off the boil a bit after an excellent start to the season. They’ve suffered defeat in each of their last four league encounters, although it must be said that the Cherries did face both Manchester outfits as well as Arsenal in that period. The Terriers certainly have enjoyed an upturn in their fortunes in recent weeks. They climbed out of the relegation zone with wins against Fulham and Wolves and a draw against West Ham. That said, they were disappointingly beaten at home this past weekend by Brighton, despite taking a first-minute lead through Mathias Jorgensen. A much, much better performance will be required when they make the trip to face Bournemouth. Eddie Howe's men are a better team all around and should be far too strong at the Vitality. West Ham were excellent at the weekend as they dismantled Newcastle 3-0 at St. James’ Park. Javier Hernandez was at the double amid rumours that he’s looking for a way out of the club as early as the winter window. Felipe Anderson got the third as the Brazilian continues to see his stock rise in the planet's most demanding league. The Hammers certainly profited from a very open game, with Newcastle leaving plenty of space in behind to attack. West Ham certainly not be afforded the same kind time and space against a very organised Cardiff outfit. Cardiff – despite picking up an excellent 2-1 win against Wolves at the weekend – won’t be particularly confident when they head to the London Stadium this week. They’ve only picked up one away point in six games, and have only found the net on two occasions. If they’re to survive this season, it’ll be because of their home form. Get on the Hammers to win to nil at 17/10. Chris Hughton’s men head into this encounter off the back of a solid come-from-behind win at away at Huddersfield Town. The Seagulls have been excellent at home this season, suffering only one defeat at the Amex, which came against Tottenham in August. They’ve since gone on to claim home wins against West Ham and Wolves as well as a credible draw against Leicester. Like Cardiff, Brighton’s success this season will rely heavily on home results. Roy Hodgson has enjoyed a good couple of weeks with Crystal Palace earning a 0-0 draw at Old Trafford (a game that they really should have won) as well as a 2-0 home win over a floundering Burnley side. They face a stern test this weekend in the form of Brighton who probably just come into the tie as favourites. You feel that this game will be decided on how well Brighton deal with the threat of Andros Townsend and Wilf Zaha. The duo are devastating when they’re in the mood, and will certainly keep Brighton honest at the back. Really tough one the call, but you feel that both teams will find the back of the net. Take both teams to score at 21/20. You really can’t see any scenario where Watford sneak a point here. They’ve endured a terrible few weeks, only picking up one point in their last four games. They’re also just starting to lose the defensive rigidity that saw them mixing it up with the big boys in the early parts of 2018/19. They’re in freefall at the minute and won’t be able to cope with a Manchester City side who have scored 17 goals in their last five league matches. Scratching around for a bit of value here – take City on the (-1) handicap at 15/20. Nice one to throw into all of your midweek accumulators. Nobody really expected Fulham to come away with anything at Stamford Bridge on Sunday afternoon. They eventually went down 2-0 but actually gave a pretty good account of themselves. They fashioned a couple of half-chances that could have gone in on another day, the best of which came from a corner in which Kepa was made to save smartly from Callum Chambers’ header at the near post. They’re still shipping two-and-a-half goals every game, however, something Claudio Ranieri has to address if they're to survive. Leicester are unbeaten in their last five league encounters but have only won twice. The festive period could well prove to be a defining part of their season. Their fixture list over the coming weeks reads: Fulham away; Spurs at home; Palace away; Chelsea away and Manchester City at home. This very winnable fixture becomes all the more important then. This will also be the first time since his unceremonious sacking that Ranieri will face the club he took the Premier League glory. The smart money is on Leicester to get the job done. Wolves’ bright start to the season is all but a distant memory now as they continue to slide down the standings at an alarming rate. They’ve only managed to pick up one point in their last six matches. That point, oddly, came away at Arsenal. Chelsea cruised to a 2-0 win at home against a porous Fulham outfit but were far from convincing. True, they did enough to grab the points but Mauricio Sarri would no doubt have been looking for an exclamation point victory following their 3-1 hammering at the hands of Spurs a week earlier – this was not that exclamation point. Despite their undercooked performances over the last two weeks, you’d still expect Chelsea to head to the Midlands and get the job done. 15/20 is actually pretty good value here. There really is no need to look too hard into this one. Burnley have been shocking this season and deservedly sit second-bottom on the standings. They welcome the second-placed Liverpool to Turf Moor on Wednesday in what should be a straight-forward win for the Reds. Jurgen Klopp’s men have the best defensive record in the league, conceding just five goals in 14 matches. With this in mind, get on Liverpool to win to nil at 17/20. Everton were superb for 96 minutes against Liverpool and looked for all money like they were going to earn a share of the spoils at Anfield until a Joran Pickford howler allowed Divock Origi to nod in from close range with virtually the last play of the game. Marco Silva will quickly put that defeat behind him as his side head back to Goodison Park where they’ve picked up 16 points from a possible 21 this season. Newcastle were humbled at home against West Ham as the London outfit ran out 3-0 winners. The defeat saw the Magpies' mini-revival come to an abrupt end following narrow wins against Watford, Bournemouth and Burnley. Rafa Benitez will be playing for a draw here at best. If they are anywhere near as defensively unorganised as they were against West Ham at the weekend, Andre Gomes and Gylfi Sigurdsson will orchestrate an absolute bloodbath. I can’t see past an Everton win here. On to the match of the round now which will see an out of sorts Manchester United face Unai Emery’s Gunners. Let’s be frank: United are struggling badly. A poor 1-0 win at home against Young Boys in the Champions League was sandwiched between two awful performances which saw them draw at home against Crystal Palace and away at relegation-threatened Southampton. Of course, there’s trouble behind the scenes yet again with Jose Mourinho allegedly labelling Paul Pogba a virus after his self-indulgent performance against the Saints. News has also started to filter through of David de Gea's search for an escape route from the club with PSG sniffing around. While all of the controversy has played out at Old Trafford, Arsenal have put together a run of form that has seen them go 19 games undefeated in all competitions. This run culminated in a barnstorming performance at home in the North London Derby where they fought back from 2-1 down at half-time to run out 4-2 winners. They look a differnet beast under Emery and head into this game as firm favourites (ignore the price). You could argue that they look a bit shaky at the back with Bernd Leno and Shkodran Mustafi far from convincing against Spurs. They should fare okay against a very disjointed United attack, though. Massive, massive value on the Arsenal win here. Back them to extend their unbeaten run to 20 with a win at the Theatre of Dreams. We round off the mid-week action with Southampton’s trip to Tottenham. Spurs looked shell-shocked at the weekend as Arsenal ran rampant in the second half of the North London Derby, overturning a 2-1 half-time deficit to run out 4-2 winners. Mauricio Pochettino will have to contend without Jan Vertonghen who received two yellow cards in that match, meaning Toby Alderweireld will slot in alongside the gaffe-prone Juan Foyth. While there are issues at the back, Tottenham are still very much firing at the top of the pitch. Son Heung-Min has been superb since arriving back from his Asian Games triumph while Harry Kane and Christian Eriksen consistently produce match-winning moments. Southampton were full value for their 2-2 draw at home against Manchester United and will probably feel a little aggrieved that they weren’t able to see the match out after racing into a 2-0 lead. They’re in possession of the third-worst away record in the league this season. Back Spurs here. Add value by taking Tottenham to win and both teams to score: No at 23/20.